We’re 100% not fazed by Real Madrid’s interest in Sadio Mane – but it’s becoming clearer that it is actually genuine. There were multiple reports at the end of last season that Zinedine Zidane wanted our Senegalese superstar, and now he’s retaken his role at the Bernabeu, they’ve reared their heads again. France Football are boldly suggesting Mane is a big target for this summer, which is unsurprising considering our no.10’s jaw-dropping form this calendar year. 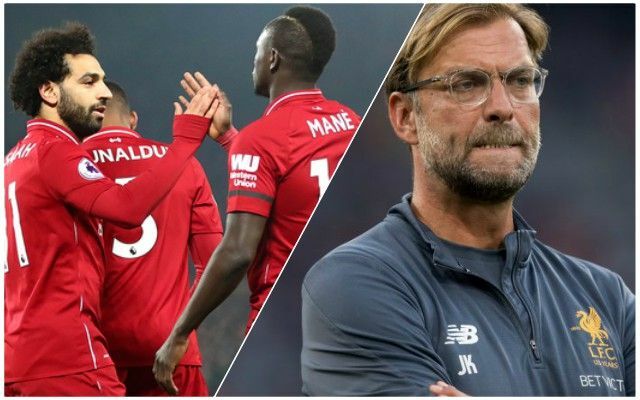 Real Madrid manager Zinedine Zidane wants to sign Sadio Mané from Liverpool for this summer as he did for last summer before his departure, according to France Football. Mane has 20 goals in all competitions this term, including 11 in his past 11 games, including a truly world-class brace against Bayern Munich in the Champions League last week. This kind of form doesn’t go unnoticed, especially when it’s on show in Europe’s biggest and most prestigious competition. While Real Madrid need bolstering – and will have money to spend – we’re not sure there’s much to worry about. Providing the player doesn’t kick up a Coutinho-esque fuss – and he really doesn’t seem the type – Liverpool aren’t going to sell. In the current market, he’s worth £150m+, but Liverpool would still prefer to keep him than cash in. We don’t think there’ll be any major departures this summer.